For those who have already installed a home security system, it's evident that they also have the ability to deter burglars. Having a security alarm at shows burglars that you are vigilant and willing to protect what is yours. Even if a burglar were to get into your home undetected, they know that you aren’t going to let them go without a fight. This makes their goal difficult and risky, and many would rather move on to a home they perceive to be occupied by less vigilant occupants. Most top of the line systems can alert authorities of a break-in within 15-30 seconds of the alarm being tripped. By the time they get into your home to rummage around the thought of police on the way plays a major factor. Although a police response is not immediate, times are much faster than for properties without an alarm system. A home alarm system pushes the chances of getting caught just too high, and no burglar is interested in risking that. Part of robbing a house is being quiet, stealthy, and remaining unseen. Many security systems set off loud alarms when triggered, and if there's one thing that burglars hate, it’s noise! Burglars who are caught off guard by a noisy alarm will often exit the area without taking anything. Noise bring the nosy neighbor that's looking to see what’s going on. This increases the possibility of a burglar being identified, and an escape impossible. This is also the reason why burglars will often stay away from homes that have loud dogs. Despite what some may believe, burglars are crafty individuals who most likely stake out the places they want to burgle. According to Joseph Kuhn's research from the University of North Carolina at Charlotte, nearly 81% of burglars claim they will rather try to find out if a home has a security system before attempting to break-in. About 50% of burglars said they would not rob a home with a security system, while 31% said they would still consider it. Only 13% said that a security system did not matter to them when they were desperate. These are some astounding statistics! 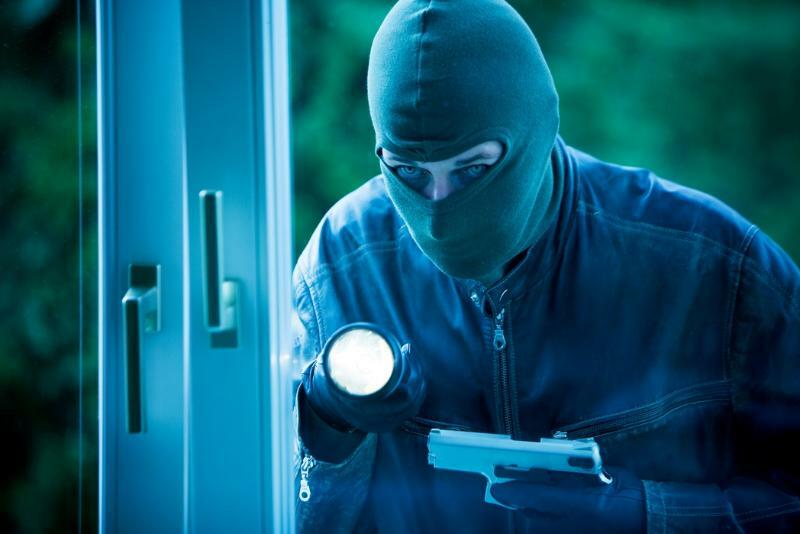 No burglar wants to get caught, and a home with a security system is no easy target. For most burglars, it’s a better just move on and not risk it. Having a home security system is the only way you can protect your family and your belongings. Don’t let yourself become a victim, install a home security system and deter burglars before they get any bright ideas.